Home > Uncategorized	> Jim and Tammy Faye Bakker Lived Here - in a Kit Home! Jim and Tammy Faye Bakker Lived Here - in a Kit Home! Those familiar with WYAH-TV and Portsmouth, Virginia will remember that this was where Pat Robertson and CBN got their start. According to his autobiographical book, Shout it From The Housetops, the name for Robertson’s flagship station came from the Hebrew name for God, Yahweh. In 1960, when the station was first launched, this was a remarkable event. It was the first Christian television network, and it was located right here in Portsmouth, Virginia. The station signed on the air October 1961, and in 1966, a young couple named Jim and Tammy Bakker started working for Robertson. Their show, “The Jim and Tammy Show” featured local kiddos in the studio audience. Growing up in Waterview, my best friend was Margee Anderson, and her mom would drive Margee and me down to the studio on Spratley Street and we’d take our place in the audience. As a seven or eight year old child, I remember thinking that Jim and Tammy were good people. I’d like to believe that those cherished memories of childhood are right, and that the Bakkers merely lost their way in later years. The Bakkers lived in Waterview, about three blocks from my own home. 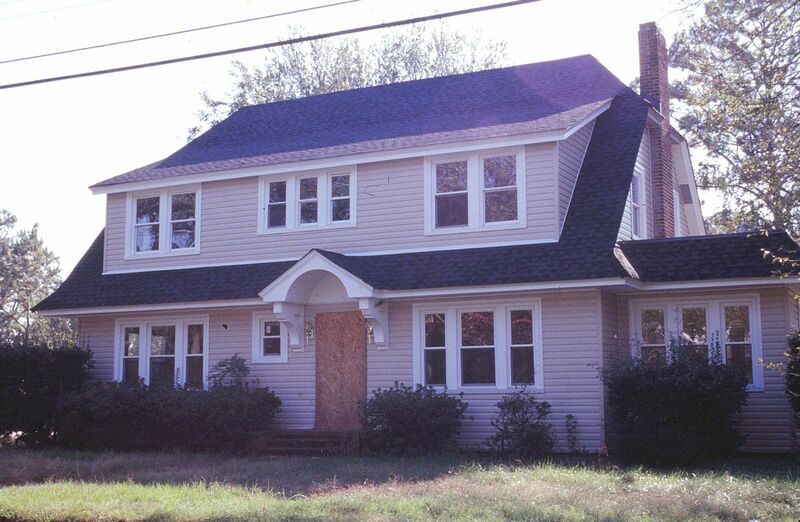 Sometime in the 1970s, they left Portsmouth and moved out of their Dutch Colonial home at the foot of the Churchland bridge. 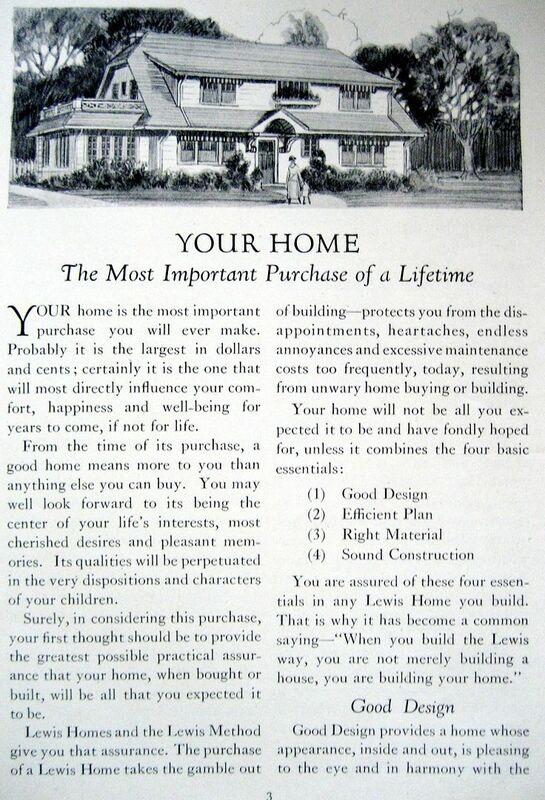 In later years, I discovered that the Bakker’s home was actually a kit home, ordered from a mail-order catalog sometime in the early 1920s. The house was shipped by train - in about 12,000 pieces - and came with a 75-page instruction book that told the wanna-be homeowner how all those pieces went together. 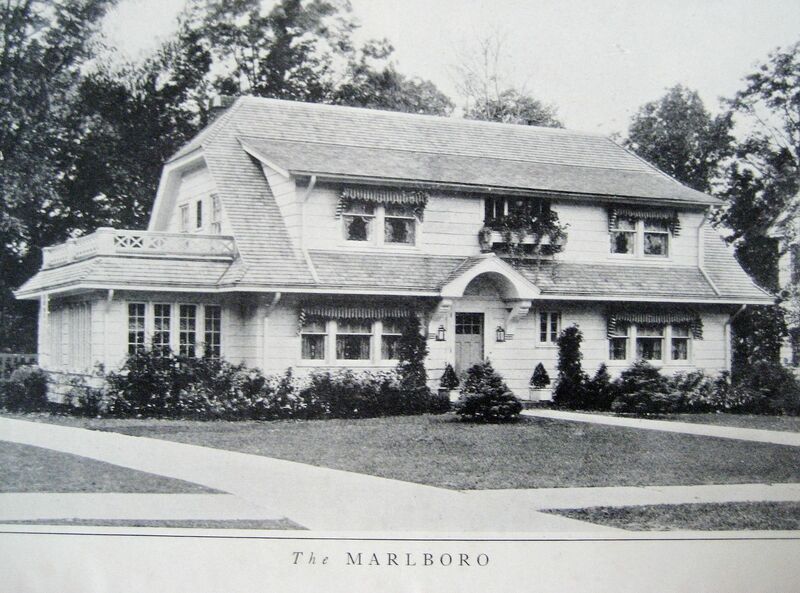 The house the Bakkers lived in was sold by Lewis Manufacturing of Bay City, Michigan. Their model was The Marlboro. Lewis Marlboro in Portsmouth, as it appeared in 2004. The front door was covered with plywood, due to some issue (which eludes my memory right now). Photo was taken by my father, Tom Fuller, about 2003. 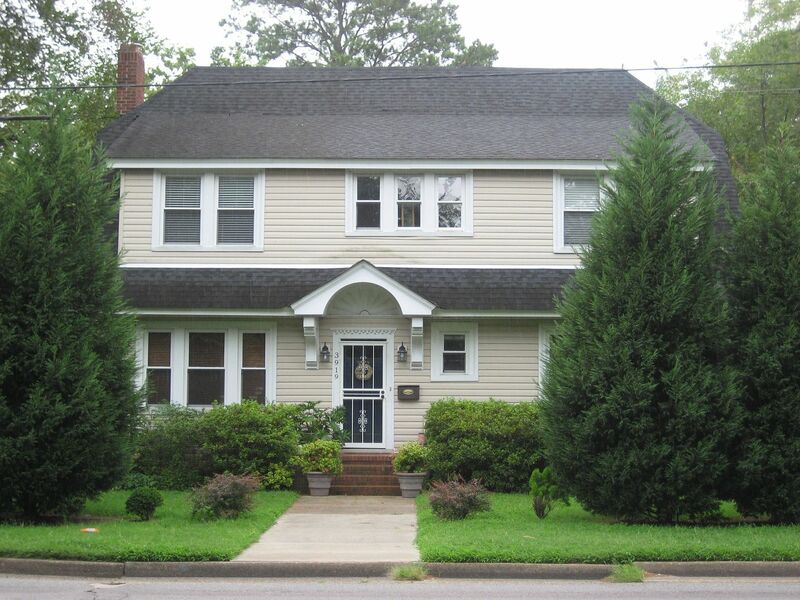 The house as it appears today. Pretty house. That’s not vinyl siding, is it? I know how you feel about that, I’m only asking because it LOOKS like it. Don’t mean to insult the home. Even if it is, it’s still pretty. Hello-We were interviewed back in 2007 about our Lewis Home in Waterview. We are still here and love it very much. Feel free to contact us any time for an update.